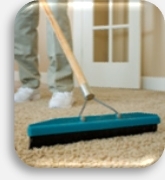 Carpets and rugs look their best when they are properly maintained and regularly cleaned. Dirt and debris can not only reduce the life of your carpet but can pose a risk for the development of allergies and asthma. 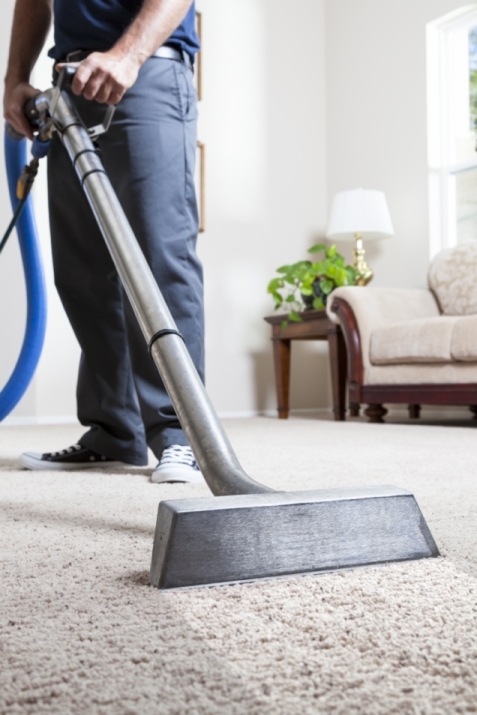 Since regular vacuuming alone cannot remove all of the dirt and debris it is generally recommended that you get carpets professionally cleaned once per year. Pets, children and high traffic areas may require that carpets and rugs be cleaned more frequently we know that when you hire a carpet cleaner that you want the job done right. Utilizing the state of the art van mounted hot water extraction (HWE)/steam cleaning system.Our 10-step process ensures that every job we do meets the level of quality that our customers have come to expect providing you the cleanest, healthiest carpet and best cleaning experience. It’s our proven recipe for success on each and every job. 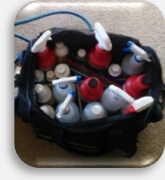 (HWE)Hot Water Extraction is proven to be the most effective method in removing deeply embedded dirt and other abrasive materials that can drastically shorten the life of your carpets. This is the method that the Carpet & Rug Institute (CRI) and the companies who make and warrantee carpet recommend. 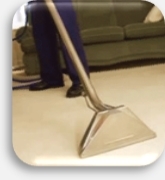 "10 Steps To A Great Cleaning"
We will do a walk through your to visually inspect your carpet identify soiling conditions potential permanent stains and give you an evaluation of expected results. AT this time, we will confirm the order and pricing of the service. 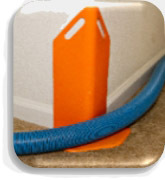 Corner guards are used to protect walls/furniture from possible scuffing by vacuum hoses. We respect your home and realize your home and personal belongings are precious. You can trust us that we will treat your home with the respect it deserves. This is just one of the steps we take to ensure the best cleaning experience. 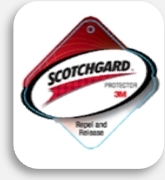 Difficult spots are pre-treated with special cleaning solutions to increase the chance of removal. 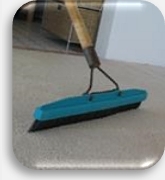 Trained in the use of over 20 stocked specialty spot removal products Preferred Carpet Care has experience, equipment and know-how for the removal of your most difficult stains & dirt to return your carpet to a like new appearance. A pre-conditioning highly effective soil lifting pre-spray is applied to the all areas being cleaned. Our safe specialized cleaning formula breaks down the dirt, oils, sugars and other sticky substances that attract more dust and bacteria. Your carpet will be pre-groomed with a carpet groomer to further loosen traffic areas where needed. Optionally a rotary cleaning machine (depending on soil level) may be utilized to further loosen high traffic area soil. We also have available the Rotovac system which can be utilized for extreme soiling conditions (additional fees apply). Soils will be thoroughly removed using a Hot Water Extraction method (aka Steam Cleaning). 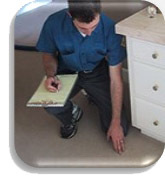 This is the method that the Carpet & Rug Institute (CRI) and the companies who make and warrantee carpet recommend. While we are extracting we apply a specially formulated pH balanced rinse that eliminates soil attracting residue so it stays cleaner longer and feels fresh & soft. Post spot any treatable spots or stains still remaining will get extra treatment with our many specialty spotting solutions. Preferred Carpet Care has experience, products/equipment and know-how for the removal of your most difficult stains to return your carpet to a like new appearance. 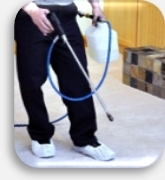 Carpet Protector is an optional step in the cleaning process. Today’s carpet is milled with factory applied stain resisting treatment. This treatment is deteriorated by traffic and professional cleaning. Having carpet protector reapplied will make maintenance much easier as well as renew your carpets ability to resist permanent stains. We will walk through your home with you to point out the cleaning results and make sure that you are completely thrilled with the job. If you have any questions or concerns, please let us know during this time. 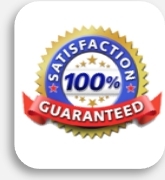 We want to be sure that you are 100% satisfied before we leave. "THE MOST THOROUGH CLEANING EVER!"